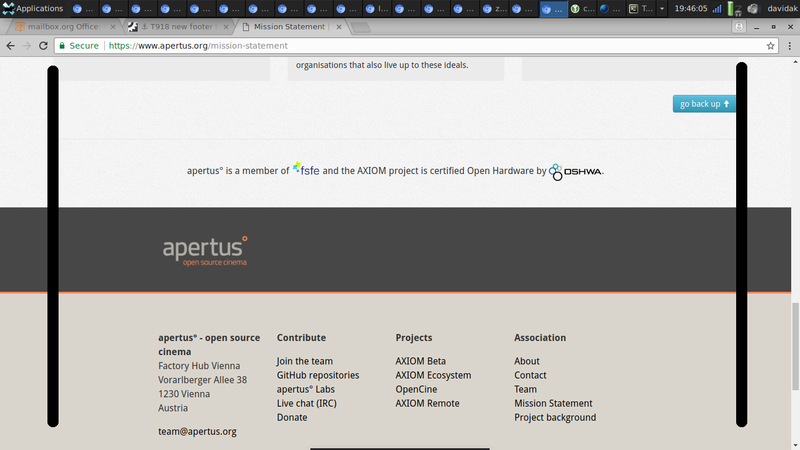 The new footer looks broken in Chromium 64. The content is out of the visible space left and right. davidak raised the priority of this task from to Needs Triage. davidak added a subscriber: davidak. What is your screen resolution davidak? He told me yesterday that it is 1366x768 (see IRC log). We have to add new area to the theme or move current footer area out of the main container, then the shrinking works again. so we need to get knee deep into the theme templates I assume. Will take a look. Let me take a look, have got a bit of experience by now. See intern chat. sebastian added a subscriber: BAndiT1983. Thanks BAndiT1983 for the fix! davidak can you check it out and mark issue resolved when its confirmed fixed. The problem is fixed now. Thanks! Should the width align with the rest of the website? 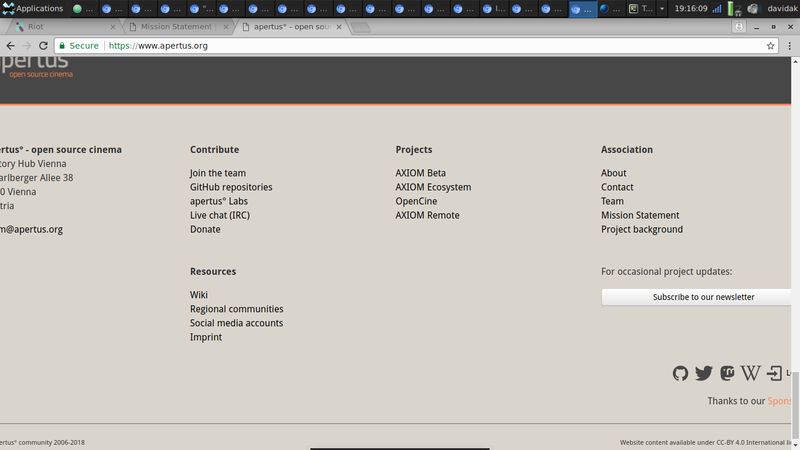 I think such big footers are often even wider than the website content. It was intended to align with the website content yeah. The initial problem is still fixed. Looks better but still not perfectly aligned. That's strange because the footer body appears wider than the page body on Palemoon and FF. The footer has now the same width as the content (what looks good). 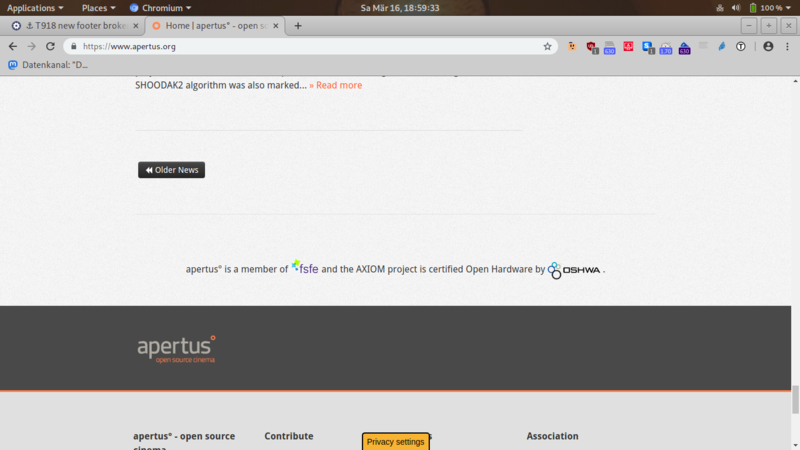 Tested in Chromium 72.0.3626.119 on 13" Notebook.